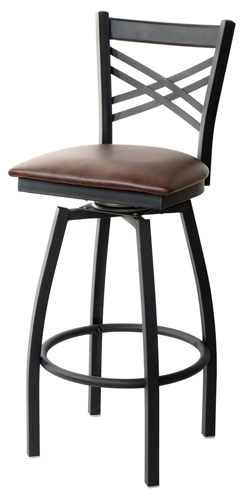 The X-Back Swivel Bar Stool will match the style of the regular chair & bar stool. 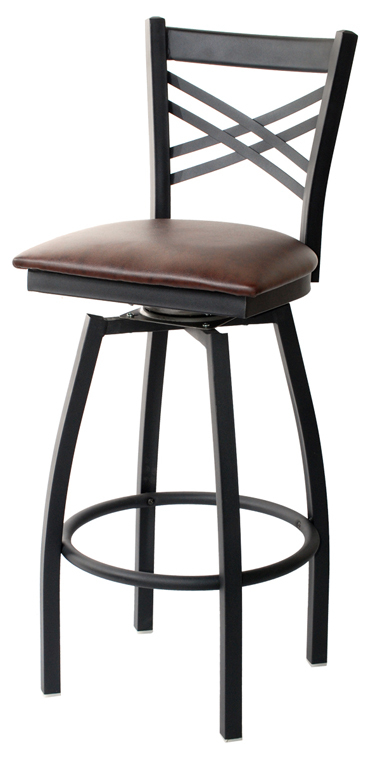 This swivel bar stool is perfect for restaurants, bars and other commercial businesses. Comes with an upholstered or solid wood seat*. The frame finish is powder coated and comes with plastic gliders.